Where do we go to know how to engage the modern world for the New Evangelization? 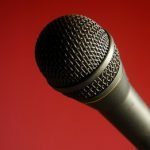 What resources can to look to to assist us as evangelizers – those who desire to proclaim the truths of the Gospel message? At the heart of it is the kerygma, which is the essential proclamation of the Gospel message. In addition the living sources of the Faith – Liturgy, church fathers, saints, Church documents, ecumenical councils (all a part of the living Tradition of the Church). The first place to go where all this is systematically and organically presented is the Catechism of the Catholic Church. During the Synod on the New Evangelisation Pope Benedict XVI gave a message to the world’s catechists for those who transmit the faith and one of my friends was chosen to receive this message personally from the pope. What did Pope Benedict give her? First, let me say that just as at the close of the Second Vatican Council when Pope Paul VI delivered special messages to various groups, Pope Benedict XVI concluded the Mass for the 50th anniversary of the opening of Vatican II by giving special messages. These were the same messages given by Paul VI except that an additional one was added for all those who transmit the faith. 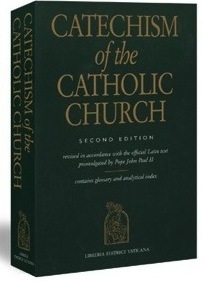 This message given by the Holy Father to my friend on behalf of all who transmit the faith were not additional words, but a copy of the Catechism of the Catholic Church – the Catechism was the message. The Catechism is “the key instrument” because it not only contains the essentials of the faith to be handed on, but it also communicates the Faith with the explicit intention of illustrating how enormously attractive it is. The Catechism also has the intention of inviting one to encounter the living God – the Father, Son and Holy Spirit and be brought into deeper communion with God. 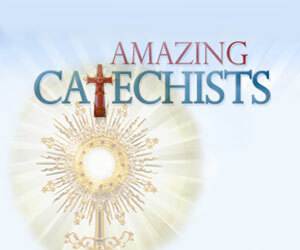 I've been sharing the faith since I was in high school and I have been a catechist in one form or another since 1991. I received my BA and MA in Theology from Franciscan University and am currently working on my PhD in Catechetics. I have a passion for passing on the Catholic Faith. I am currently the Director of Religious Formation for a parish of approximately 3400 households. Catechist Formation is a joy and passion of mine because I love the opportunity to share with others what I know and what I've learned. I pray that together we catechize the next generation of students so they may come to know and love Jesus Christ and His Church more and more! Check out my blog @ http://relevantcatechesis.com.